Alaya Dawn Johnson's "The Summer Prince" (2013) is set a few centuries after some nigh-apocalyptic events: a "Y plague" that wiped out greater than two thirds of the male population, some kind of massive nuclear exchange that has left large swathes of the planet radioactive, and the resulting nuclear winter that seems to have made most of the temperate zones too cold for dense human civilization. Oh, and it's a YA work, set in a utopian (or is it DYSTOPIAN?! DUN DUN DUN) mega-city-structure in Brazil, where elected kings (I'm not sure that's what king means but whatever) reign for one year before being ritually sacrificed as they select the queen, who's the real ruler. Yep, that's the gist of it. Oh and also there's a lot of stuff about art and art-as-politics and fame and fame-as-politics. I found myself enjoying the book quite a bit, as long as I remembered to do some eye-ball stretching so as not to strain anything with occasional YA-induced rolling. And we had a pretty delightful discussion of it at Think Galactic. Possible spoilers below! Before even getting into the book discussion proper, we had to have a brief screaming and shaking of fists about the recent Hugo Drama. If you missed that: a group of people on the "bigot spectrum" rallied enough votes to push a slate of their nominees through, totally controlling a few categories and knocking a lot of really awesome, eligible works off the rest. I'm not going to get into a reaction/analysis/linking frenzy here--maybe another post, another time--but given that Think Galactic's mission statement is exactly opposite to the aims of these Sad/Rabid Puppies, it was good to just do some communal "argh-ing" for a minute. Also we got into a brief clarification-hunt for the Hugo vs. World Fantasy Award statues, the latter of which is a bust of H.P. Lovecraft--which is...problematic, given his racism. See Nnedi Okarafor's post on that, with some insights from China Mieville. (BTW I recently re-read Mieville's analysis of Lovecraft and the Weird in the "Routledge Companion to Science Fiction" , highly recommended.) Also it looks like there is some discussion of replacing Lovecraft with Octavia Butler for the statue, which sounds lovely. Can't confirm that as of this writing. 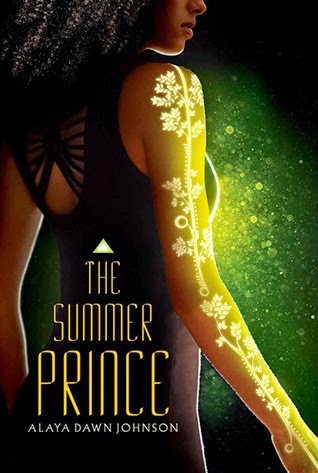 By the way--and then to "The Summer Prince" discussion, I swear--nice to see some new faces at Think Galactic, including "Bearded John" (not actually bearded) from Haymarket Books, who sound pretty compatible with Think Galactic. "But the fourth one stayed up!" We talked about Palmares Tres! Which is a pretty cool reference to a community of runaway slaves and others in in the 1600s (particularly of note is the matriarchally-run households due to gender disparity). We did wonder briefly why three--what happened to two? 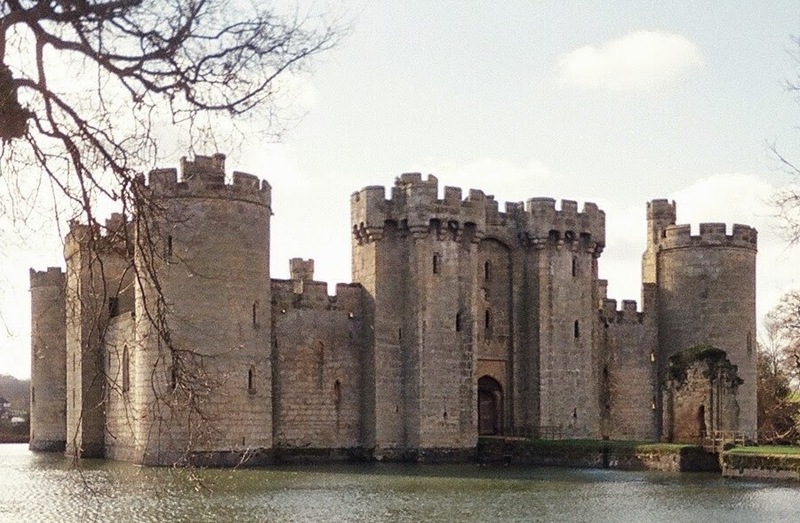 John suggested it may have sunk into the swamp. The physical construction of Palmares--a giant sort of suspended pyramid--seems a clear reference to the proposed Shimizu Mega-Pyramid arcology-what-have-you, possibly to be built in Tokyo if the material sciences develop. (As another, slightly more realistic enthusiast points out, a slight problem is that "if one truss fails the whole structure and 750,000 people will crash to the sea".) Check those links if you're interested, as I am in, in arcologies by the way--nice ideas and explanations. I would love to see some more consideration of architecture/urban planning in SF, which I realize might be a little...niche. I was reminded very slightly of the Last Redoubt from William Hope Hodgson's "The Night Land" (1912), mostly due to the pyramidal shape/post-apocalyptic vibe/architectural reification of hierarchy (and does bring us back around to Lovecraft and the Weird, but those don't really have a bearing on "The Summer Prince"). Although! The book does address race...a little bit. Enki's blackness is repeatedly contrasted to the lighter skin tones of most of the city's residents, at least initially--and it comes up again when they're on the run at the end. Overall though, race doesn't seem to be a big deal in this society, and the book does go out of it's way to let us know that our protagonist and most others aren't standard-issue white characters (no whitewashing of the cover, either, which is cool). "Normalizing, but not really engaging with" could also be said of the sexuality and gender in the book. Bisexuality and a certain amount of polyamory seem to be completely normal within this world, eliciting zero commentary or conflict. Which is cool, to have that kind of acceptance just presented, particularly in a YA book. Some brief explanation or handwavium about sexual safety would have been nice, though. Art! We talked about art. Particularly, the way June seems to be more about "being an artist" than actually "making art". We thought the world of art here seems very impoverished--it's not clear what kinds of things are being made, seen, considered important, having an impact. And most of June/Enki's work falls somewhere on the "street art" spectrum, which is a very now-ish kind of genre. Personally, when I read about art as a relevant political mode--being used to overthrow an oppressive hierarchy etc.--I snap to the edge of my seat, Situationist International on my mind--but what we got here is just kind of..."Banksy's cool, right?" We also talked about the obsession with fame, celebrity, public commendation. Is this a common feature of YA? I admit I have a very slim and imbalanced survey of the genre, but thinking of for instance the award/house-standing obsession of the early Potter books (1997-2005), or the reality-show/celebrity-politics of "The Running Man" "The Hunger Games" (2008/2012). Fame and recognition seem deeply important to June, and I can't tell how much that's being criticized for how little any of that clicked with me as a real motivating force. The deeper struggles in Palmares, we come to realize, revolve around technology, class boundaries, and ageism/enfranchisement. Technology! There is a divide in Palmares between those who would embrace new technologies, and those who would restrict it. All right. There's a sense in which we're all Amish, right? Everyone and every society chooses not to employ some technologies that are available. But...Palmares is highly technological, relying on robots, nanotech, life-extension technology, weak AI, omnipresent communication technologies...the idea that this could just be "stopped" at a certain level is a little hard-to-swallow for me. There must be programmers, engineers, troubleshooters, makers of various stripes just to keep the system running as is--and the idea that you could teach and perform those skills while keeping everything completely static seems impossible, to me at least. Maybe I'm overthinking this. We do have the "cautionary tale of Tokyo 10"--the Japanese cities seem to have mostly-digitally-transcended in some sort of limited Singularity/burst of consciousness-uploading, and that's not presented in a very positive light. (We wondered "who maintains the air conditioning, though?" with the possible answer that it's "robots all the way down".) There's also a fairly implicit (if not exactly covert) connection of technological patriarchy to the nuclear holocaust, as part of the reasoning for keeping a tight limit on both men and technology. This said, though, I still find June's eventual position as "pragmatic", somehow reconciling Luddism and technophilia/mania...really unsatisfying. Because that's 1.) not a real coherent dichotomy, ESPECIALLY HERE, and 2.) this idea of "striking a balance" between these extremes sounds nice, wise, right? But it doesn't actually tell us anything--there's no actual guidelines. Humans are fundamentally technological; we can't treat "technology" as this abstract force or element in the world that we need more or less of. 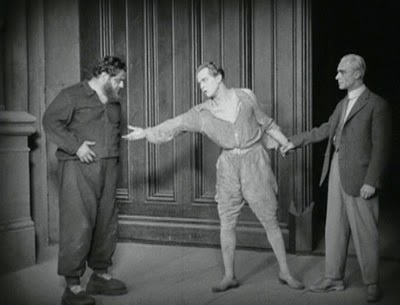 "Pragmatic June" frustrates me identically to (and is probably an echo of) "The Mediator Between the Head and Hands Must Be the Heart" moral to "Metropolis" (1927). Class boundaries! Lots of these in the book--and, despite the seeming non-issue of race, slave imagery (particularly slave costume) is repeatedly used by Enki et al to bring up the issue. As with many utopia/dystopia stories, we found ourselves wondering how the economy works--who does what? Who works? At what? Is there exchange? Markets, capital? It's really not clear, making the class struggle here pretty blurry. Ageism! Certainly lots of that being addressed here. There's this waka/grande split in the society that's pretty deep. It initially seemed pretty artificial to me, and then I realized: nope, they're just calling the age of majority 30 instead of 18, whereupon it doesn't look that different from current age/maturity discourse--and indeed, it seems like every year I see a new and older date for "real" adulthood. The criticism of that system--of denying political agency to the youth, of an increasingly long-lived gerontocracy getting an ever-tightening grip on power--rung most true for me of all the themes in the book. 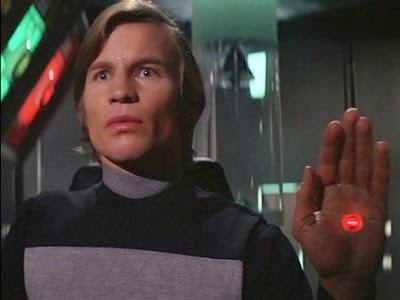 Made me think of the "don't trust anybody over 30" line from the Free Speech Movement protests in Berkeley, and between that hard age cut-off and Enki's impending death we were of course reminded of "Logan's Run" (primarily the 1976 film). I forgot to bring this up at the meeting, but "The Summer Prince" brought Bruce Sterling's 1996 novel "Holy Fire" very strongly to mind--the life-extensions, gerontocracy, youth revolting through art. Probably my favorite Sterling novel, and I'd suggest it if you liked "The Summer Prince" and aren't scared of adding some serious '90s cyberpunk and a healthy does of aesthetic/post-modern theory into the mix. Curiously, the seemingly massive disenfranchisement of men in this society is not particularly prominent. Looking back over my notes, I'm struck by the fact that, of the four significant male characters (Enki, June's father, Ueda-sama, Gil), three of them choose to die to change/escape/challenge the system. Throughout the meeting, we spent a lot of time re-clarifying how the sun/moon summer king/queen election system worked. Whew! While the concept of the sacrifice is an eyeball kick, I found myself really questioning the believability of it--not clear what the Aunties gain from it, how/why the general population would see it as necessary or as granting legitimacy to the system (especially when the "selection" by the dying king seems so clearly, unambiguously rigged). But others at group pointed out the kind of ludicrous things that people will accept as a matter of course if it's "just the way things are" in a given society--lethality of American police against our own citizens being a pretty clear example. The AI of the city and how that worked. How seriously versus snortingly to take the whole "my love is where my weather sensors connect to my energy production unit" bit. The Salvadoran classified files and the whole "who controls the past controls the future" idea. "1984!" DUN DUN DUN. How much knowledge (or lack thereof) of the music affected one's reading. I am pretty unfamiliar with the musical styles referenced here, and I wondered how that make a difference (also thinking of KSR's "2312" , where a lot of classical music played an important role in scene-building). Tree Implant : Mood Rings. The Futurists! And, related story, Neo-Futurists. And then related by way of the AIC: James Ensor, by way of Johns Flansburgh & Linnel; I'm more of a Bruegel man (especially if by way of Auden or Williams). But Hieronymous Bosch: Except No Substitutions. In summary: we liked the book quite a bit! Had plenty of critiques--haven't even touched on some our criticisms of the simplistic emotional maturation, the thinly-sketched side characters, and how much this was only accidentally June's story--seems like it was really all Enki. But! We liked it. Next up for Think Galactic is the much-discussed "Ancillary Justice" by Anne Leckie, Thursday, May 14th! As always, we meet upstairs at Myopic Books, 7:30pm.